Could this mark the end of traditional passwords? 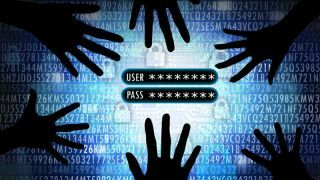 A pertinent truth that is often forgotten when discussing the importance of authentication is that passwords should have been removed from the equation a long time ago. However, many companies do not see why they should protect their users by moving away from passwords; they do not see customer security as a sales point nor a part of their business practice. Meanwhile, regulators see strong authentication as a business to business practice and not as a ‘must have’ in the consumer market. As a result of a shift in awareness, regulations, and motivation in 2018 alone, we have more evidence than ever to believe this change will finally be implemented in the coming year, with many companies standing to benefit from its advantages. There was an endless cycle of credential related breaches in 2018, from HSBC to Twitter and most notably Facebook, which resulted in an increase in both business and consumer awareness for weak single factor authentication. With regulatory officials like HIPPA and PCI-DSS supporting multi-factor authentication and its three factor types: something you know, something you have and something you are, this mode of verification is here to stay. With the implementation of The General Data Protection Regulation (GDPR) this year, the liability has shifted from the end user to the data handler and data processor, leaving the company legally liable for any breach of customer privacy and information. This change in liability hits organizations where it hurts – profits – giving them an incentive to provide better authentication processes to employees and customers alike. The public, regulators, and government are each aware of the dangers of passwords. In 2019 we will start to see companies which already utilize multi-factor authentication, present it as a unique sales value. Companies that don’t already use it will begin to support multi-factor authentication and use their newfound security to attract customers. Passwordless authentication is more secure, requires less maintenance (password resets, employee downtime) and the overall experience is simpler and easier, creating a superior user experience and a higher conversion of sales. Although over a decade too early, Bill Gates got it right in 2004 as we will see the masses move away from passwords in 2019.